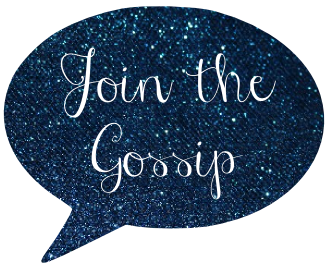 Today my Monday Morning Gossip involves a great giveaway sponsored by Zinio! Nine magazine subscriptions are up for grabs. Never heard of Zinio? Let me break it down. 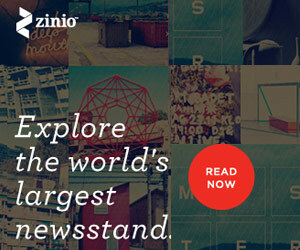 Zinio showcases over 5,000 digital magazines on their digital newsstand. You can use your desktop, mobile phone, or Kindle Fire to download and read subscriptions. In 2012, Zinio delivered more than 70 million digital issues to readers in more than 200 countries. On top of winning numerous awards, consumers also back Zinio. The company has Four-Star ratings in iTunes and Android app stores. Not sold yet? Subscriptions are priced reasonably. 12 issues of Vanity Fair, Cosmo, or Marie Claire for $19.99. Fashion, DIY, cooking, news, men & many, many more categories. And right now, there's an Earth Day promo going on. So if you don't win this giveaway you can still snag a subscription at a great price. The promo features over 50 titles offered at 50% off and is good through April 16. But for nine of you, you'll get a full subscription for free! Select ANY of the magazines offered by Zinio. Giveaway ends on Friday, April 12 at midnight PST. Disclaimer: I was offered a free subscription as well in exchange for this post. I freaking love my magazines. I get a zillion and always want more. Specifically though, HGTV or OK mags. I would get Redbook. It's my new favorite magazine to read these days. New follower!!! I meant to follow you ages ago, actually, after reading about you on Tiffany's blog...and then I forgot. I'm awful. Would love to get Cosmo again or something trashy like US Weekly! Tough~ probably a wedding magazine so I Can use it for blog inspiration! Or ... Better Homes and Gardens! I'd get US weekly or Cosmo... or something helpful like HGTV or food network haha Ahhhh decisions! So fun! I have a subscription through Zinio already, but really need to get the Kindle Fire app so I don't have to read on my computer. I'd get Rolling Stone if I won. I miss it.